For most of us, our experience of London most of the time is as a noisy fast place. We arrive at crowded stations, rush to work along busy roads, shop to blaring music, and go for drinks in places where we have to shout to be heard. The challenge of finding a slower side to London was what spurred us to create our London In Slow Motion guided walk. The sonic din is something we investigate on The London Ear. 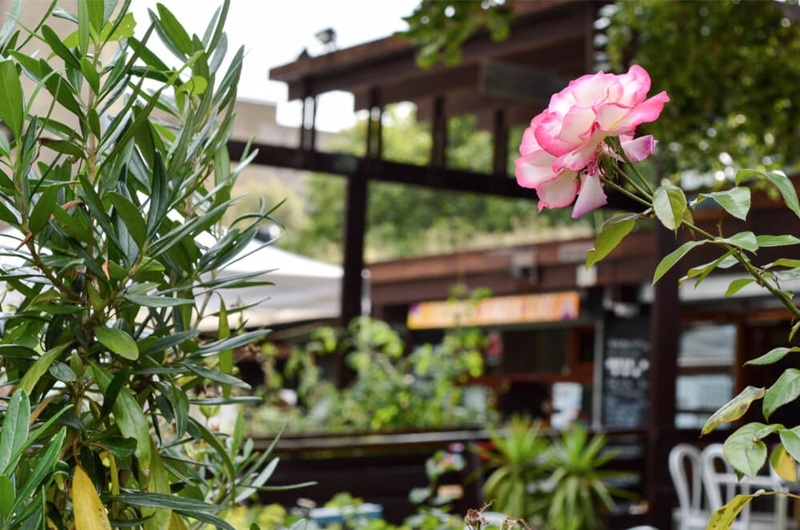 Here, we’ve picked out some resources to help you find tranquillity in the capital. 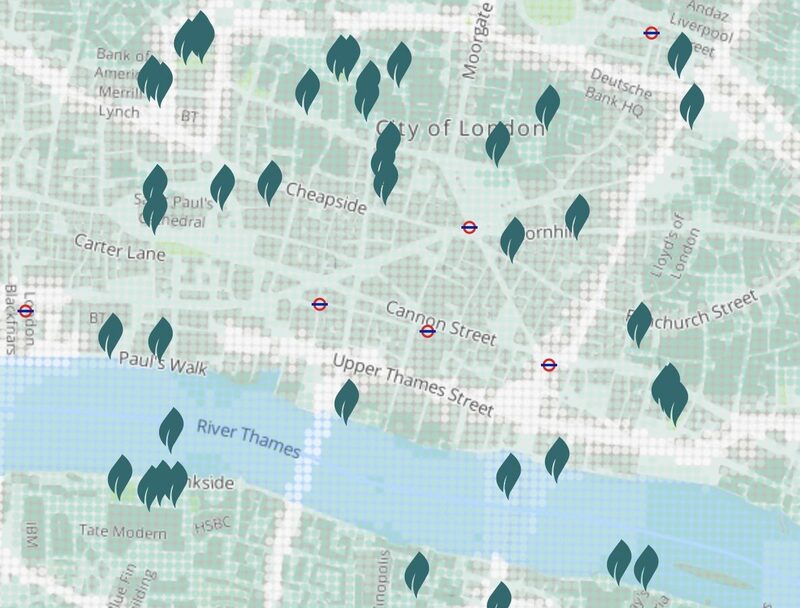 This interactive map of tranquil open spaces is based on locations tagged on Instagram and Twitter under #tranquilcitylondon. As well as linking to photos and posts, it gives information about noise levels and air pollution. The idea behind the map is to ‘help you explore healthier routes and find more quiet spaces’. Blogger Charlotte has been on a mission to find unusual corners of London, away from the crowds. Her picks for indoor spaces are particularly good. See for example, her 19 quiet London coffee shops and cafes. The Quaker Meeting House on St Martin’s Lane has been hosting drop-in silence every Friday since 2015. You can drop in any time between 5.30pm and 7pm, sit with others in silence (with your mobile switched off! ), and leave whenever you like. It is advertised with the tag line ‘No philosophy, no religion, no catch – just peace, tranquility and silence’. 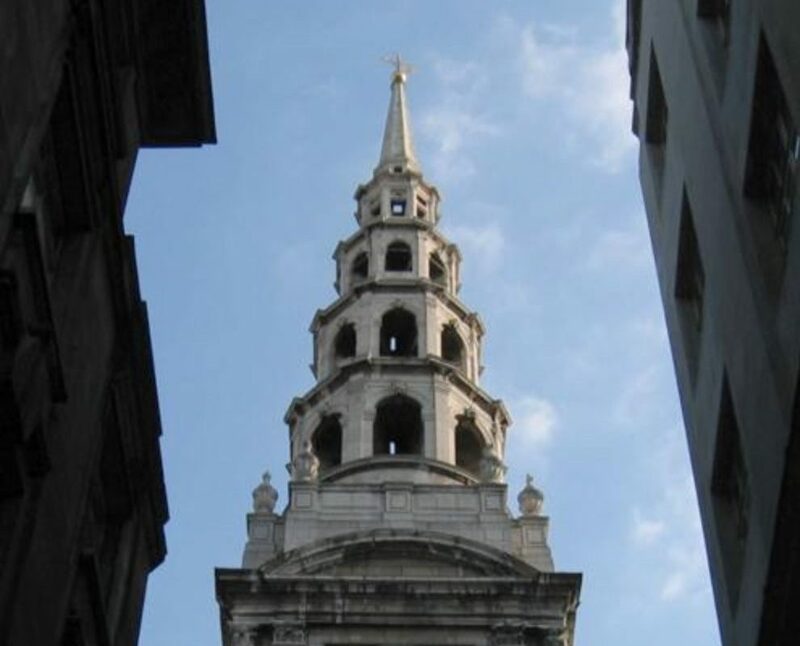 Space for silence is a similar initiative at St Bride’s Church on Fleet Street (pictured). It takes place every weekday from 5-6pm.